I have given in and started my Christmas crafting lol. Its not such a chore though and these tags were fun to make. 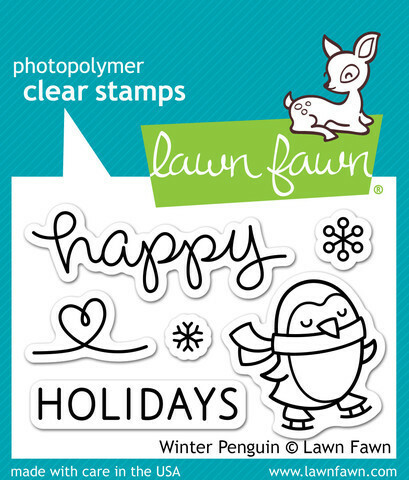 I have used Lawn fawns Tag you're it die set along with the grassy border die and mini snowflakes dies. 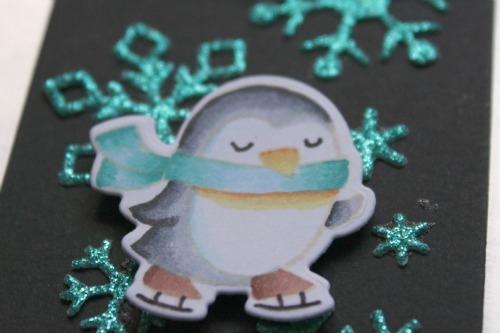 The penguin is a mini set called winter penguin. 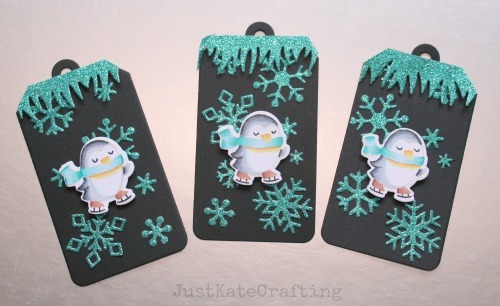 I dies cut the tags from black card and added the snowflakes that i had die cut from some teal glitter card I then decided i wanted some icicles so i used the grassy border die with the same glitter card and just used it upside down. I coloured the penguin with copics and added to the tag with some foam tape. Just click the images below to go to each product.